Have you dusted off your beating gear from last year and decided to treat yourself to some new kit? There is a vast array of coats and over trousers to choose from and much will come down to a beater’s own personal taste, the cover which they will need to face and of course a beater’s budget. Waxed jackets and waxed trousers tend to be marmite with beaters, some love them and some hate them. Waxed coat supporters love the dependable waxed cotton which will keep you dry even on the wettest of days and is pretty much bramble proof and thorn proof. A waxed coat such as the Hoggs Padded Jacket (£55) is perfect for beating on a budget. It is a good length without being overly long, is padded for warmth and has a generous sized hood. Team with the Hoggs Waxed trousers (£34) and you have a beating suit for under £100. Some beaters prefer to wear sturdy and supportive boots such as the new Hoggs Waterproof lace up leather boots (£58) with a pair of gaiters, for example the Seeland Crieff gaiters (£28). Others prefer wellington boots. Unless you have the feet of a Hobbit, you need to consider spending a bit of money on your wellies if you are going to be walking in them all day. Neoprene lining will provide extra warmth and some find they rub less than a cotton lined pair of boots. The Hoggs of Fife Field Sport Neoprene Lined Wellingtons (£68) feature a Vibram outsole – perfect for extra grip in slippery conditions. The Le Chameau equivalent, the Le Chameau Country Vibram Neo Wellingtons are £130 do the Hoggs ones are great for beaters budget wellies. On cold days, a thermal base layer is great for keeping you warm and wicking any sweat away. Beaters always look smart with a shirt. 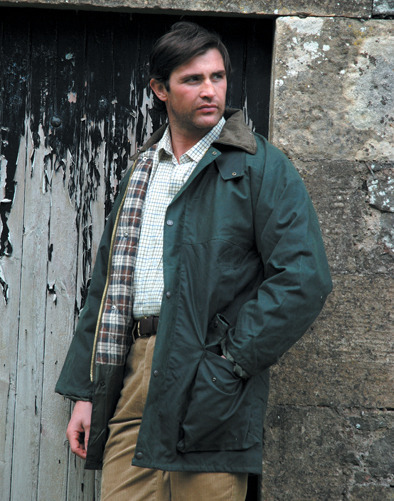 For a checked shirt, you can’t get much better on price than the Hoggs of Fife Poly/Cotton check shirt at £13.50. For extra warmth, there is always a lined shirt such as the Birch Fleece Lined Shirt (£24). The ladies aren’t left out with the Alba Ladies Jersey lined country shirt (£27) with a pretty berry pink check. However, this writer’s favourite is the utterly gorgeous shirt Bella Ladies Floral Shirt (£22) which will make any beating outfit feminine and add a touch of glamour. Beating accessories – hats, caps, gloves and all! A hat if often required, either flat cap or baseball cap to keep the sun out of your eyes, the rain off you or to keep your head warm! I find a hat with a brim such as the Boston Crushable Felt Hat (£23.50) helps to keep the rain off more than a cap. Thinsulate lined gloves will keep your hands warm and a good option are the Thinsulate Hooded Fingerless Glove with Suede patch (£9.50). Other useful bits to have in your pockets include a penknife such as the cartridge pen knife (£3.50) which is fun and a cotton handkerchief (from £2). The pheasant cotton handkerchief (£2.50) is a bit different and won’t blow the budget. Some beaters may carry a horn to signal the start and end of the drive. And last but not least the most important item of all…the hip flask for sloe gin, damson vodka or blackberry whisky. The Springer Spaniel hip flask (£17.00) holds a generous 6oz.